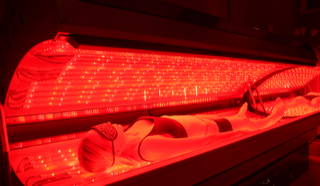 A high-tech/high touch wellness center - is the first center of its kind in New Jersey to offer multivalve whole-body light therapy or “Photobiomodulation” as part of a complete light therapy program that is helping clients recharge from excess stress and recover from the consequent pain. 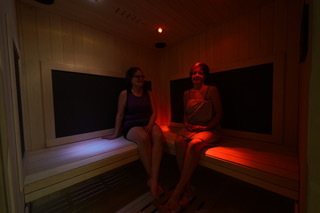 Light therapy is THE most fundamental recovery therapy next to sleep. You change the body with light, and it amps up your body’s self-healing powers to recharge, restore and reactivate. This non-invasive therapy has been shown to be highly effective for acute and chronic musculoskeletal conditions such as sports injuries, fibromyalgia, chronic fatigue, neuropathy arthritis pain, gout and more. PBM Therapy works at the cellular level, stimulating repair and normalizing cell function. Many therapies address only symptoms without addressing the source. That said, chronic degenerative changes often cannot be “healed” and must instead be “managed.” PBM Therapy is a safe, effective, drug-free therapy that has been shown to reduce pain and inflammation at the source. For additional information, call the Regenus Center at (862) 295-1620 or visit the Regenus Center website here.